Fareah Zaneb joined Avanessy Giordano LLP as a law clerk in 2017. She has been working closely with Kevin Kwok. Fareah developed a thorough appreciation for litigation and advocacy while working at the Landlord and Tenant Board tribunal prior to joining Avanessy Giordano LLP. 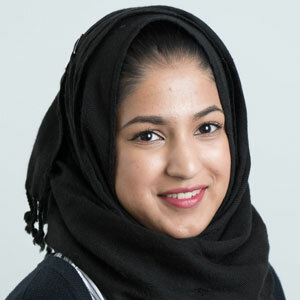 Fareah is a graduate of Sheridan College for the Community and Justice Services program and is currently enrolled in the Paralegal Studies program at George Brown College. Fareah is conversational in Urdu.